When we were talking about who to call, people just kind of presented themselves, Johnson says. I think the word got out after awhile, and we were getting phone calls from people wanting to do it. There weren t a whole lot of arms that needed twisting. The resulting cast, plus the brilliant and timeless Cochran songs, make this recording one of the musical events of the year. From the ranks of the Country Music Hall of Fame came George Strait, Emmylou Harris, Merle Haggard, Kris Kristofferson, Ray Price and Vince Gill, not to mention Cochran s oldest and truest friend, Willie Nelson. Veteran stars Leon Russell, Elvis Costello, Bobby Bare and Asleep at the Wheel perform on the album alongside contemporary artists such as Alison Krauss, Lee Ann Womack and Ronnie Dunn. Everybody got to pick their own songs, so for me, it was just as much a journey as it was for anybody else involved, Johnson reports. I thought I d heard all of Hank s songs, and I hadn t heard anything. 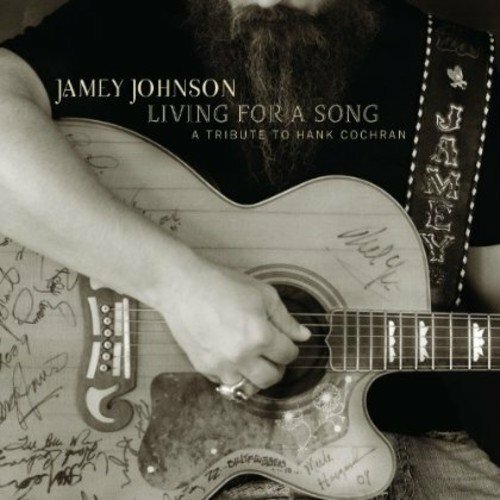 Johnson is quick to praise the efforts of co-producer Buddy Cannon, who worked with co-producer Dale Dodson to recruit artists and explore Cochran s vast catalog. By the time Buddy was done with it, it was the easiest thing in the world. I can t give him enough credit. If you have any questions about this product by Johnson, Jamey, contact us by completing and submitting the form below. If you are looking for a specif part number, please include it with your message.